How is it possible to travel between body and wound? How is it possible to settle? Come out into the space, Child. This is the opening of Adunis’s monumental prose poem Singluar in Plural Form (Mufrad bi-sighat al-jam‘). First published in 1977, Adunis (b. 1930) continued to edit and revise it, finally publishing a version subtitled “a final formulation” in 1988. The finality of the 1988 formulation is questionable. In fact, the claim of it being a final rendition only emphasizes the impossibility of finality with a text like this. This poem (and every reading of it) is an ongoing exposure, opening up, and challenging of our expectations of poetry in Arabic. After having dislodged Arabic poetry from its rootedness in verse (meter and rhyme) in previous experiments, especially in his 1964 collection The Songs of Mihyar the Damascene, Adunis here drastically expands the limits of the poem. A pioneer of the Free Verse movement launched in the late 1940s, Adunis is also one of the founders of the journal Shiʿr* in 1957. 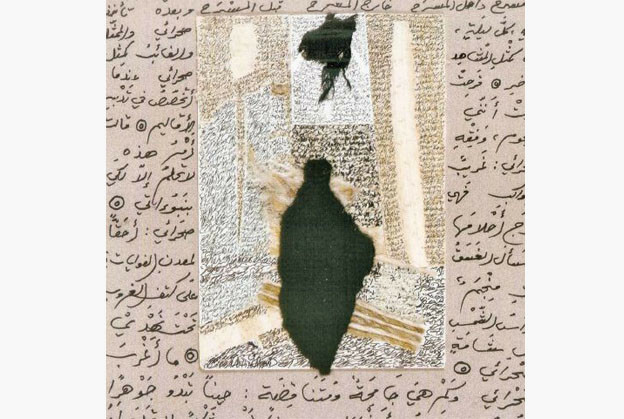 Shiʿr expressed a disposition towards English and French modernist poetry, engaged in a conscious effort to introduce translated poetry into Arabic, and positioned itself as the platform for the uncompromising Arab avant-garde. If the Free Verse poem of the late 1940s, introduced by poets such as the Iraqi Nazik al-Mala’ika and the Badr Shakir al-Sayyab, was modernist, then the prose poem introduced by the Shʿir poets was ultramodernist. The opening of Singluar in Plural Form is expansive in its mood and provocative in its tone, representative of the text in its entirety. From the very first line, the poem announces its landscape as the body of language. The word body (jasad) is immediately associated with language in Adunis’s discourse, and the word wound (jurh) with writing: a specific mode of writing that aims to penetrate, to expose, and to reimagine anew. The poem opens with a negation of language as a final body and a probing of it as a wound. “There is no discrete entity called poetry,” Adunis tells in his Introduction to Arabic Poetics, and this poem is the performance of that statement. Only the poet and the poem really exist. Poetry is the succession of poems, of structures built one after the other, one on top of the other, completing each other, erasing each other. Poetry is a horizon which perpetually moves farther and farther away. A poem is the longing, the endless building of roads in the direction of that horizon, that unattainable mark in the distance where the world ends and begins again. Our bodies are the protrusion of the flood. and now is the beginning of the sea. I am the mast, and nothing rises above me. Now is the beginning of the earth.